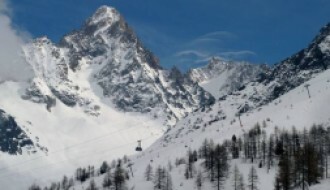 The Flégère area of the Chamonix village offers stunning panoramic views and skiing opportunities for all abilities. Flégère is often considered the perfect departure point for classic grande randonnée hike trails that explore the various, beautiful mountain lakes in the Chamonix valley. 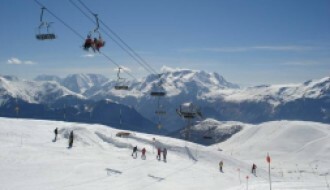 However, with over 30 ski slopes Flégère is much more than just a starting point. Individuals who visit Flégère get to experience both breath-taking views of Mont Blanc and the Aiguilles. Flégère and Brévent together boast a total of 56km of pistes, with Flégère being home to over 30 slopes. Access to the slopes is easy as Flégère has 13 operational lifts, including 3 cable cars and a gondola. With a variety of slopes available, ranging from gentle green to advanced black, Flégère is appealing to both beginner and confident skiers. For young children, a snow park is available to enjoy whilst parents are skiing. Wheelchair access is available on both the gondola and cable car. For skiers who prefer valley runs, the Le Brevent-Blachots-Nats-Chamonix is Flégère's longest run, at an elevation of 1490m and 6km in length. 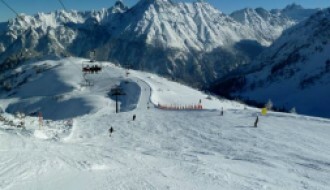 More advanced skiers may wish to attempt the Bouquetins run which is Flégère's hardest. Flégère has everything a skier could wish for, even though there is much more to Flégère than skiing alone. Flégère is a popular location to begin hikes and walks. The Flégère cable car is the perfect starting point for a walk to Lake Blanc, a scenic lake situated against the backdrop of mountain ranges. Staying or living in Flégère offers the perfect combination of skiing, tranquillity, and entertainment. Flégère's most popular bar offers amazing views of the Mer de Glace on its south-facing terrace. The bar regularly hosts DJ nights and is a great location for après-ski festivities. For a busier, more active nightlife individuals may wish to head to neighbouring villages, such as Les Praz. What Flégère lacks in nightlife options, it makes up for with a family-friendly, tranquil atmosphere. The culture of Flégère is very welcoming. As Flégère attracts skiers and walkers alike, the resort's community is very diverse. The feeling of community in Flégère is strengthened by its close proximity to other Chamonix villages, as Flégère residents benefit from both a supportive local community and easy access to more bustling, modern locations. Flégère has a range of cuisine options available, catering for all tastes, with many restaurants offering stunning panoramic views of the surrounding area. Flégère is busiest in the December-April season but due to its beautiful surroundings is a popular location to visit year-round. The culture of the town is very welcoming, but dogs are unfortunately not allowed on the resort. The nearest hospital is also merely 6 minutes away should an emergency occur. To match the picturesque view of its surrounding areas, Flégère features a number of traditional and modern chalets. For individuals who prefer a classic style of accommodation, wooden chalets are available, a perfect peaceful retreat to return to after a day of skiing. If you are more accustomed to modern luxuries, contemporary chalets are available that have been built to capitalise on the views of the area and complement the aesthetic of the town. 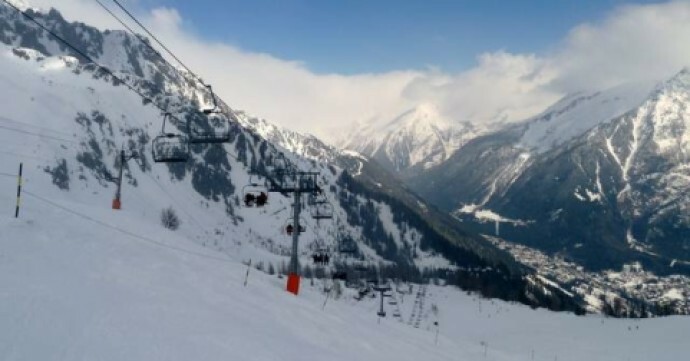 In the past 10 years, Flégère has received a share of a €22 million investment from Compagnie du Mont Blanc which focused on upgrading the Brévent and Flégère ski resorts. Flégère benefitted from this investment in the form of snow cannons and an updated chairlift. Due to Flégère's newly upgraded ski lift, Flégère can now accommodate larger visitor numbers, making property investment an interesting opportunity. While snowfall in Flégère is fairly consistent, snow canons are used when necessary to ensure the resort can offer the best skiing opportunities possible. A look at a historic snow report Flégère based will reveal Flégère experiences an average of 68cm of snowfall a year. For daily information on snowfall, take a look at our Flégère (Chamonix) resort guide, where live updates are available. A reliable weather report for Flégère will reveal the Flégère climate is pleasant and fairly consistent. Flégère is conveniently located just 50km from Geneva airport. Daily coach and shuttle services are available from Geneva and Flégère can be reached easily on bus routes 1, 2, 11, and 12. Lyon airport is 220km away and free parking is available around the Flégère resort should you wish to arrive by car.